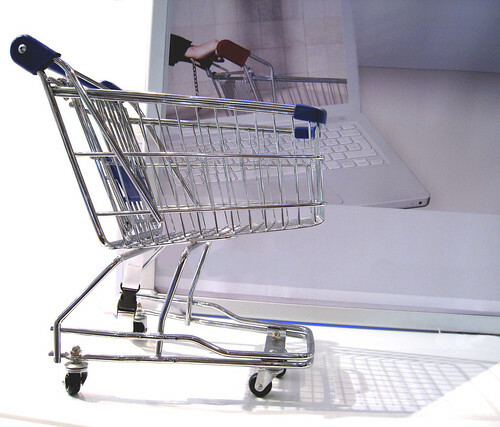 While they may be big, Ebay might not be the best place for you to set up an online store. With the growing popularity of ecommerce in recent years, more and more online marketplaces have been popping up across the web. This means that eBay, the original online auction house and ecommerce juggernaut, is no longer the only option for online sellers. For many sellers, this is great news. From hidden fees to negative feedback catastrophes, eBay has been taking a lot of flack lately. This is understandable. Despite its status as an ecommerce authority, many sellers are coming to find out that eBay does have its share of downsides. Despite striving for simplicity, eBay’s system of taking fees remains pretty complicated. There are fees for listing items, fees for choosing the “auction” option, fees for choosing the “Buy it Now” option, fees that get tacked on if your item sells… Not only are these fees too much for most people to keep up with, they also add up quickly. eBay limits the number of items you can sell each month based on your account type and the type of item that you are selling. By limiting the number of items you can list, eBay is also limiting the amount of money you can make. If you want to stand out, selling items on eBay is not the way to go about it. For every shirt you want to sell, there are five other people selling the exact same shirt. (And those five people probably have more eBay experience, lower prices, and better feedback than you do.) With so many sellers already established on the site, it’s hard to get yourself noticed on eBay. There are several scams that sellers can fall victim to on eBay. Because eBay is so well known and has so many users, it’s a prime target for scammers. The worst part is that there are not many steps you can take if you’ve been scammed on eBay, so you may wind up losing a considerable amount of money this way. While eBay gives sellers a number of options regarding ways to accept payment (PayPal, ProPay, Skrill, merchant credit cards, or payment upon pick up), usually your payment will be held by the processing company for a number of days or weeks. This means that your item will probably be in your buyer’s hands before you see a dime. Despite its big name, eBay may not be your best bet when it comes to selling products online. Save yourself some frustration by considering other online marketplaces to sell your items.